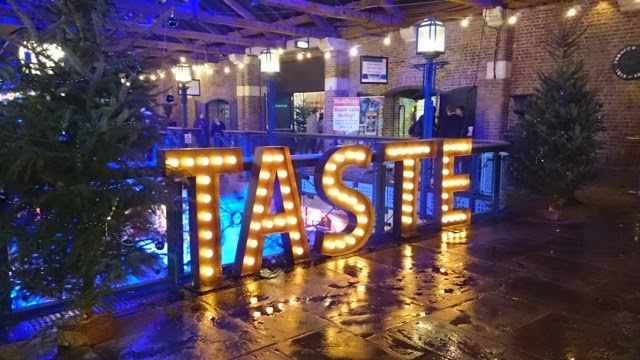 Yesterday evening I went along to the *Taste of London (20th - 23rd Nov) held at Tobacco Docks for the foodie wonderland event to do lots of eating, drinking and enjoying the entertainment. 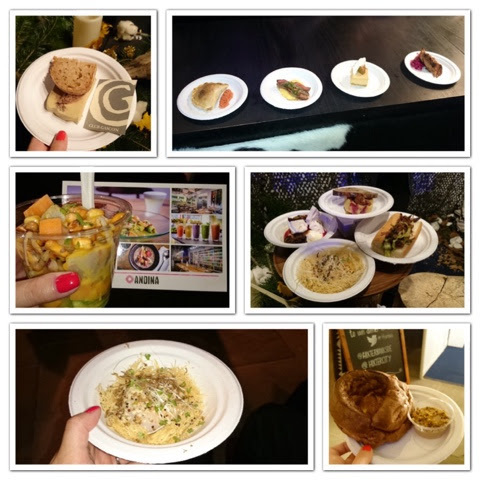 The event gives you a chance to taste incredible signature dishes from London's hottest restaurants. Top chefs put their own individual twists on winter classics. 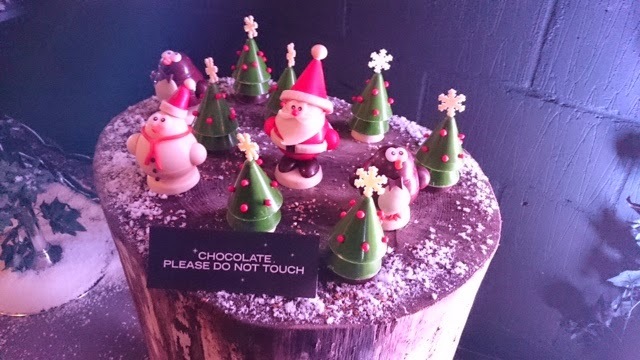 There is plenty to see / do for everyone from getting hands on with interactive masterclasses, choc tasting, cheese & wine, cooking demos and of course bit of christmas shopping. 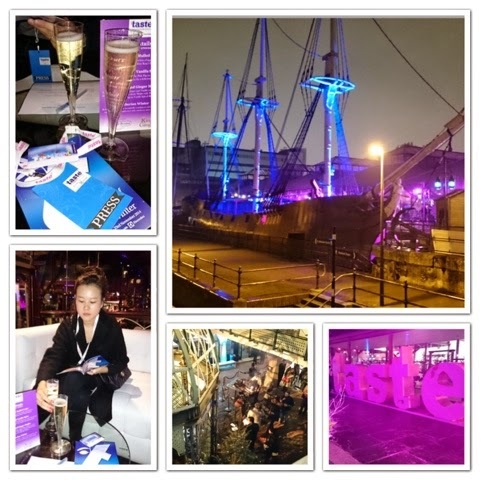 We arrived fairly early around 5.30pm to collect our passes and made our way to the VIP area for a glass of champagne to read our booklet and started circling the various dishes we wanted to try out and which cooking sessions we wanted to watch. Electrolux Chefs secrets was very popular with very limited spaces and everyone wanted to have a good at following a top chef in a cook along. We were lucky to be booked in for the last session of the evening with Francesco Mazzei who you may recognise, he's appeared on a number of tv shows! Since my hubby isn't great at taking pictures we decided it was best for him to cook and I will be he assistant / taking photos! 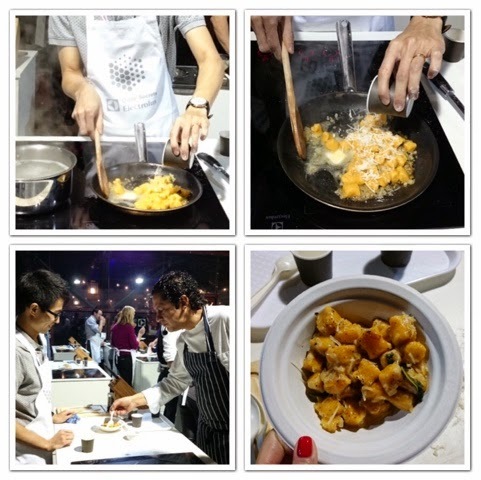 We followed Francesco in making one of his simple recipes pumpkin gnocchi. 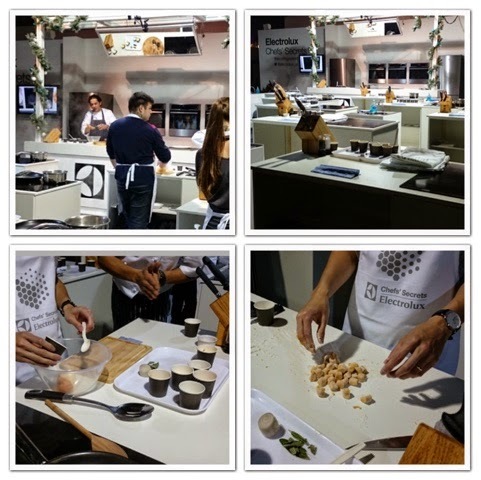 The session lasted around 45 minutes and it was great fun and the gnocchi was delicious! In between cooking we were wondering round tasting various dishes from Club Gascon, Andina and Hixter. 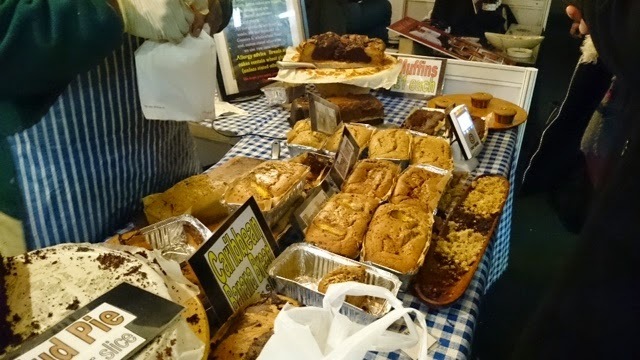 We actually wanted to try out more but ran out of time with the cooking, chef demos and shopping we were doing. 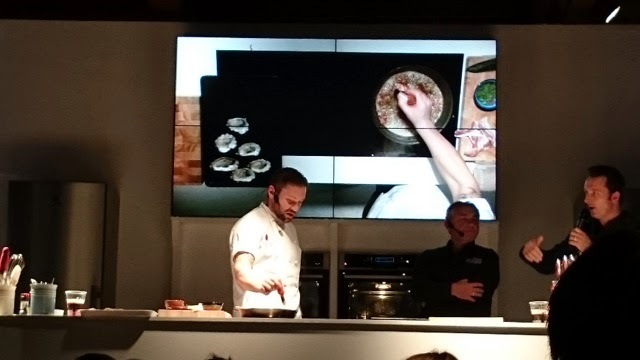 Electrolux Taste theatre is where we watched Dan Doherty from Duck & Waffle cooking oysters. 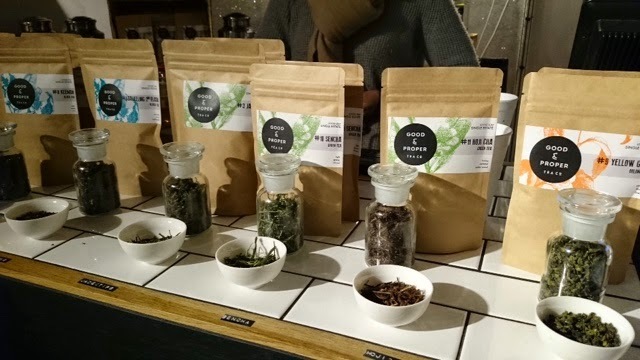 We had a wonderful evening and it was so much fun! 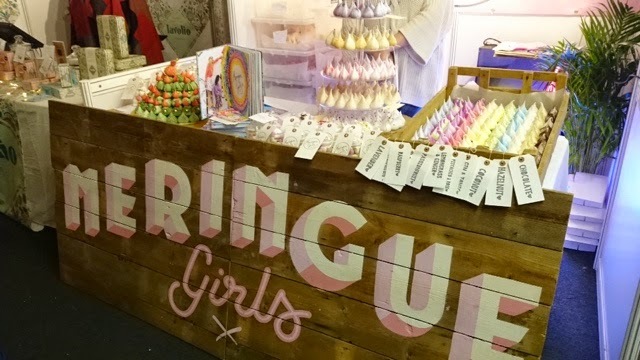 If you are in London there is still a chance to visit on Sunday either day or evening sessions. The cooking demos were really busy with everyone wanting to have a go, we were lucky to get a spot and it was so much fun! Thanks for stopping by Lucy! It was so much fun! We tried to eat as much as possible but ran out of time. 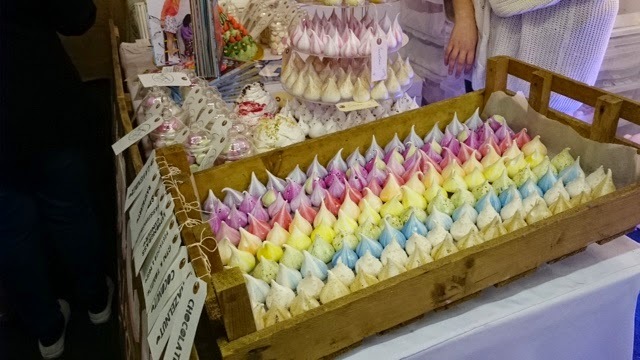 The meringues just look like pinterest pictures!